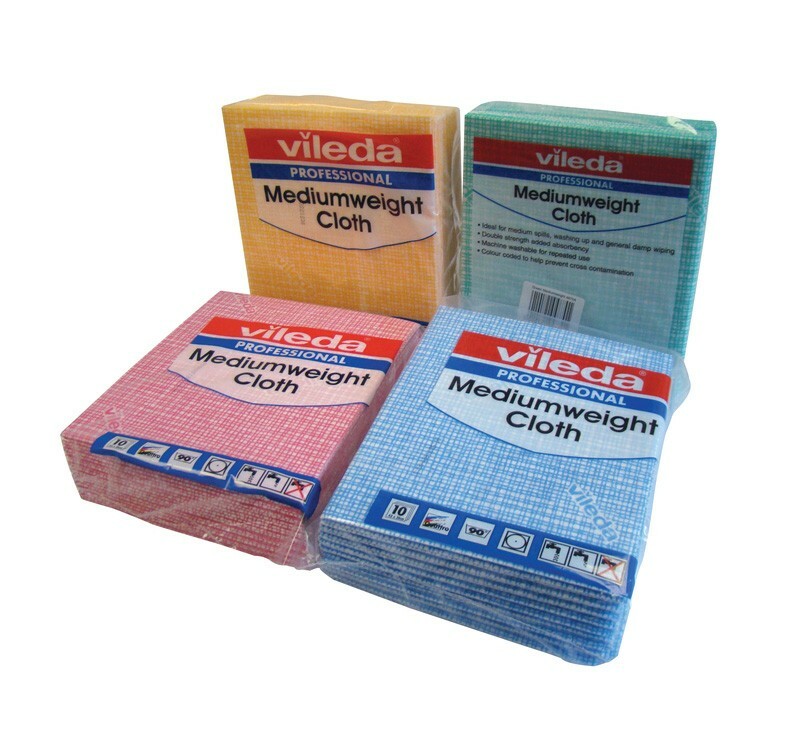 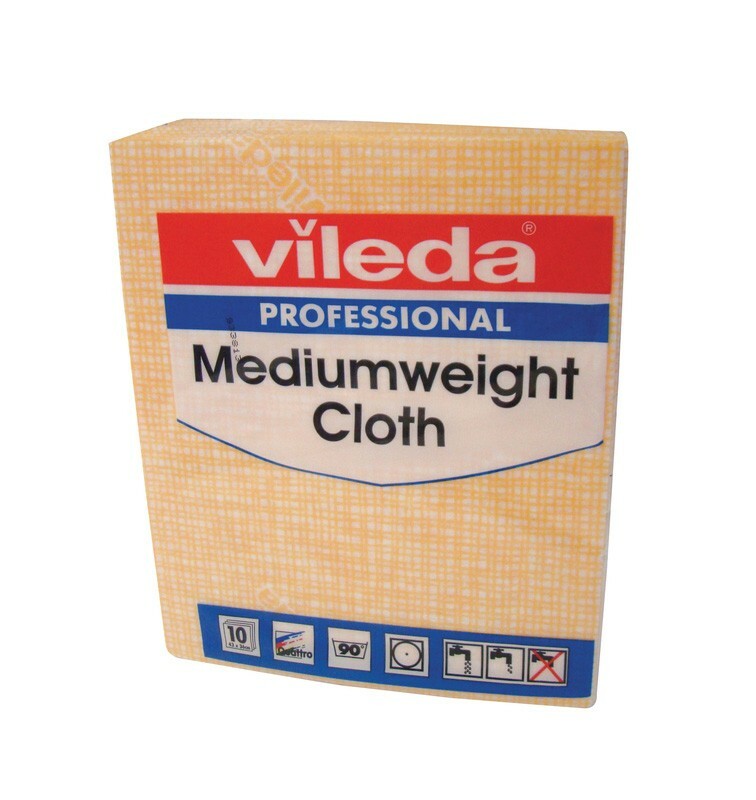 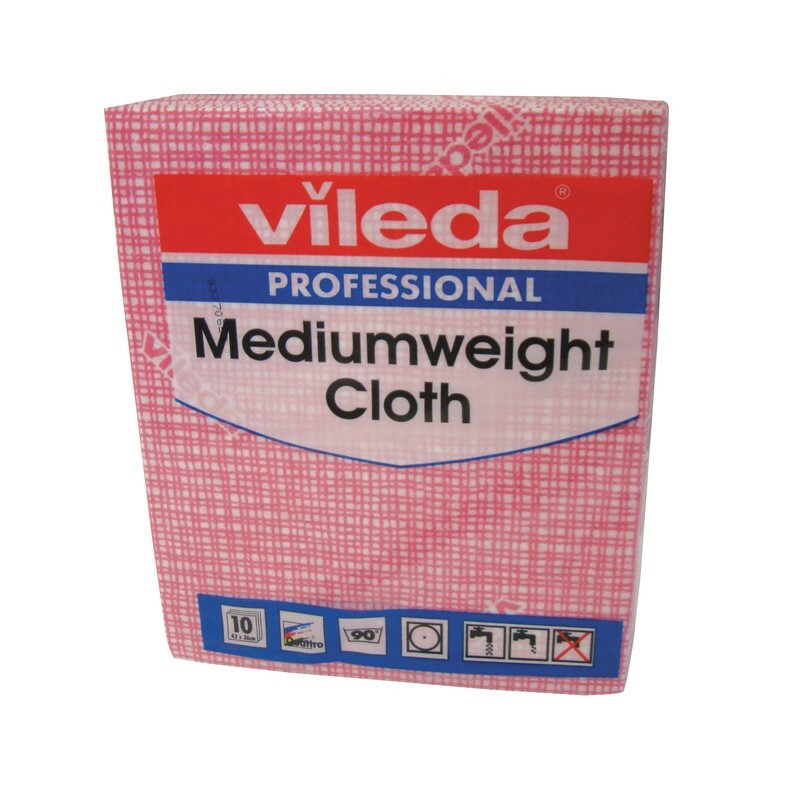 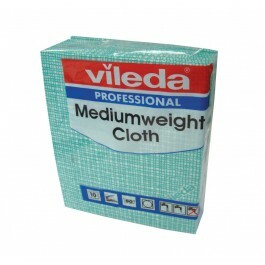 Vileda Professional Medium Weight Cloths are the ideal choice for all your damp wiping needs. 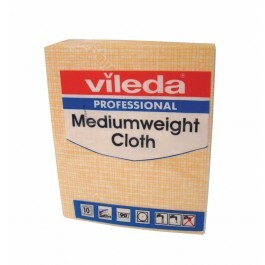 A general purpose cloth designed for the effective cleaning of all surfaces. 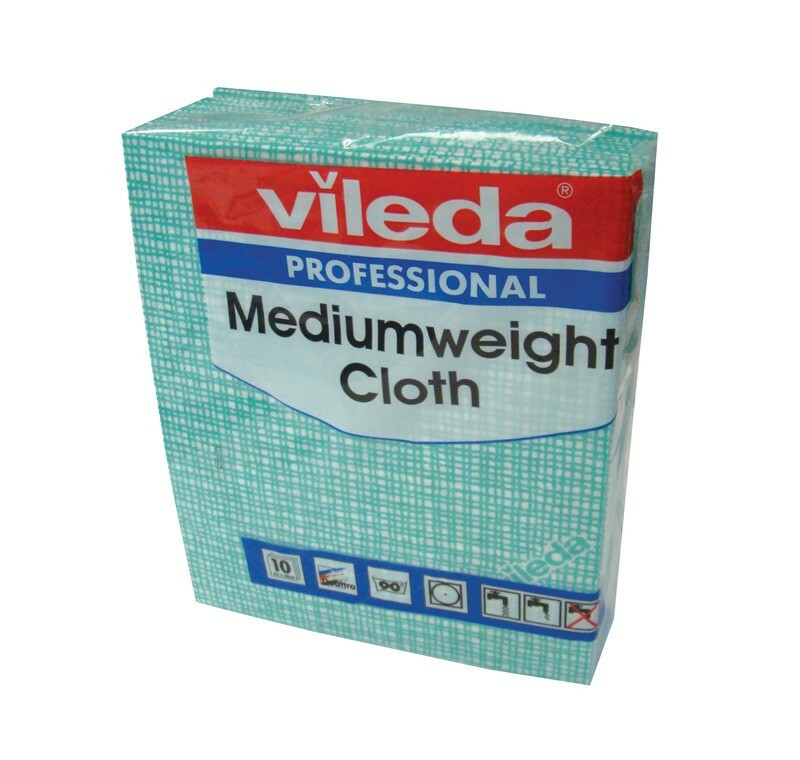 Manufactured from 140 gsm super absorbent fabric that leaves a smear free surface after wiping meaning there is no need to re-wipe to dry. 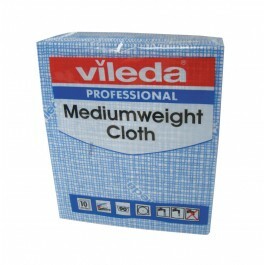 The cloth also features a high wet and dry strength. 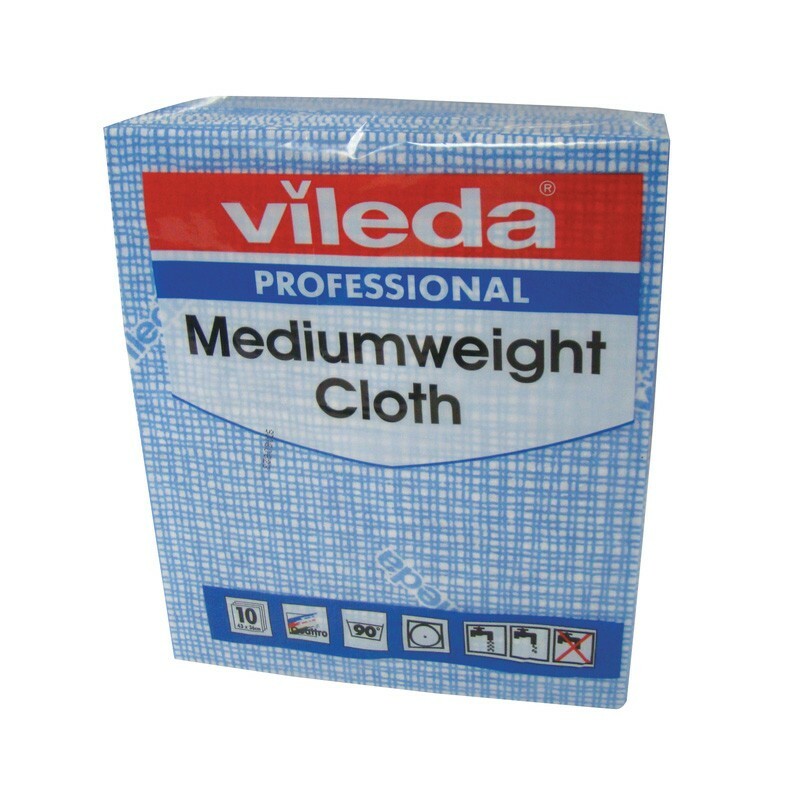 Ideal for use in schools, hospitals, food factories, hotels and nursing homes. 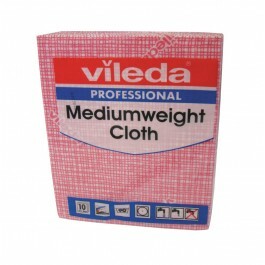 Manufactured from 27% reprocessed cotton, 31% viscose, 23% acrylic and 19% polyester. 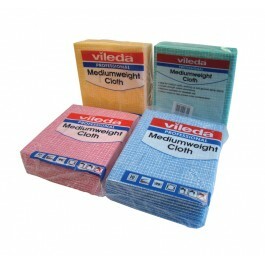 Suitable for use as part of a colour coded cleaning system.